We are pleased to once again be exhibiting at Sign UK. 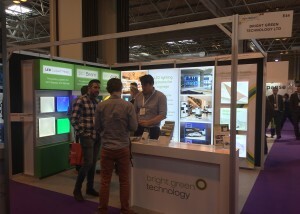 We’ve exhibited at Sign and Digital UK for the past few years and are keen to go again in 2016 to show our expanded range of LED sign modules and lighting systems. We have extended our range of LED lighting systems for lightboxes, adding a new module for illuminating double sided boxes. 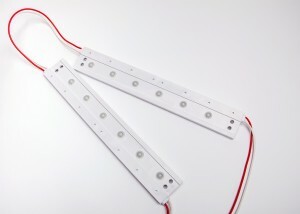 Each of the new modules has 12 lensed LEDs, 6 on either side of the module. The lensed LEDs produce a 145° beam angle, directing the light into a controlled pattern to ensure bright, even illumination across the lit surfaces. Alongside this new double-sided module, we will also be showing other LED systems including our LED Light Panel, now available in Dynamic White, and Bright Green Beam, our edge lighting system for projecting signs. See us on stand number J22 at Sign and Digital UK, taking place at Birmingham’s NEC from the 19th to the 21st of April.